Originally from Independence, Kansas, I am an actor living in Los Angeles. My name is Christina and I’m a freelance writer for The San Francisco Chronicle, Hemispheres In-Flight, Conde Naste, The Oregonian and many other publications. I’m currently working on a database of world festivals for a high profile site called http://www.fest300.com I’m doing a write-up of Neewollah and am hoping to get in touch with someone about plans for the 2014 festival and to ask some specific questions. Would you mind if I quoted parts of your blog entry about the Neewollah Festival? I’m glad I found your blog. I’ve enjoyed what I’ve read so far, and look forward to going back and reading more. Keep up the great work. 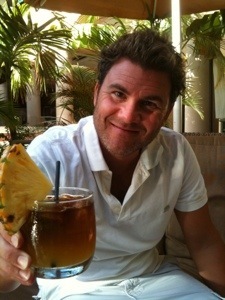 Is that a mai tai? Yes, it is. I do love a mai tai.